I think the best way to appreciate and enjoy the trivial is to travel. When I say trivial, it includes doorknobs, posters, letterboxes, graffiti and everything we never bother to turn our heads for in our own city. I experienced the same last week while traveling with my wife across Florence and Tuscany. I think one’s level of awareness and curiosity goes up many-fold while traveling. In Florence, we stayed at a lovely bed-and-breakfast named Fiorenza. The breakfast was good and the people even better. There we met this amicable family from the UK with a year old baby named Owen and his 7-year-old sister Kyra. Owen and Kyra were playing hide and seek while having their breakfast. Kyra hid behind the same chair repeatedly and jumped out to reveal herself to her younger brother. Owen was pleasantly surprised every time during this process. All humans are born curious. However, they lose it as they grow older and get familiar with things. 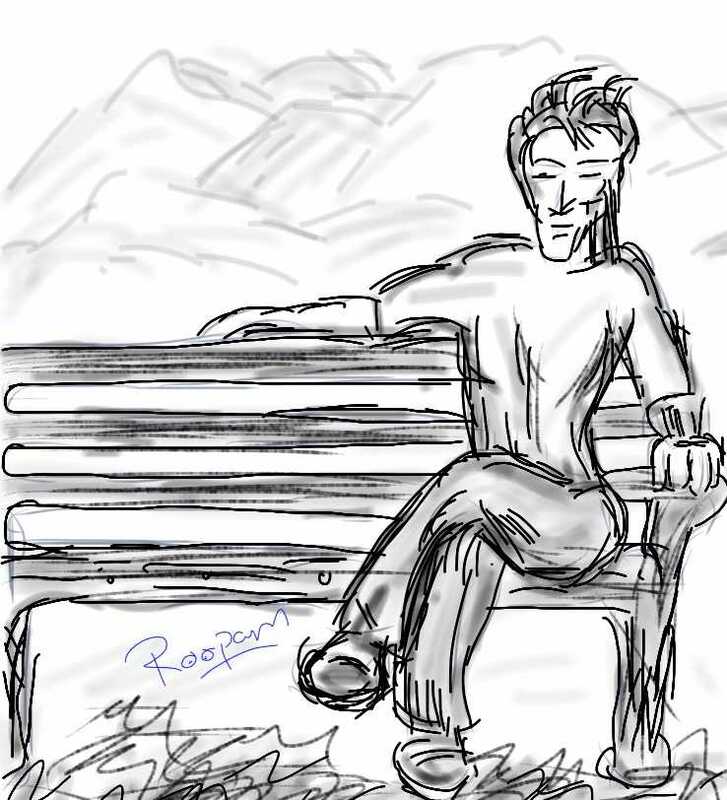 The phenomenon could be the reason why we never turn our heads for the trivial in our own city. Being curious and aware requires constant energy and effort. Perhaps, humans have the natural tendency to slip into a low energy state. Nonetheless, this is particularly dangerous for analysts since their job requires finding meaning in something that seems mundane to others. In my opinion, the biggest challenge for analytics is not the sophistication of statistical algorithms and enhancement of computing power, but for its practitioners to stay curious and constantly ask questions. Zen Buddhists try to achieve cosmic awareness by living in the moment. If that is too difficult, I would recommend that treat your job like a wonderful travel destination and be a good tourist – curious and aware. Ok, so that was a bit of a detour from our original discussion on scorecards. However, there are a couple of reasons for telling you the above: primarily, to tell you why I was late in posting this part of the series. Secondly, I would like us to have a discussion on the importance and challenges of being curious at work and life in general. I already have a few examples in mind i.e. Louis Pasteur and Edward Lorenz but that is for later. Now, let’s continue with the topic for this part i.e. model evaluation. When I was in high school, I joined a cricket academy during the summer vacations. Cricket is a game quite similar to baseball. I shall use baseball terminology in parenthesises for everyone to understand. The design of the training camp was to train for about a month followed by a full game with kids at same skill-level from another club. There was this tall and lean kid with us in the camp; he was the star bowler (pitcher) throughout during the training sessions. He used to bowl (pitch) some of the best Yorkers (curve balls). We were quite sure he would outperform everyone in the game. We ask him to open the bowling, his first bowl went for a six (home run) followed by several more. Maybe it was a mix match pressure, expectations, and the crowd but his performance was an absolute disaster. Later the coach told us what happened was not unusual and he had seen this several times before. At higher levels, the game is played not on the ground but the space between the ears. Clearly, he was referring to players’ presence of mind and temperament. As the famous saying goes, the test of the pudding is in the eating. One could be a star on the training fields but a complete flop in the match situation. The same is true for an analytical model as well. A model, after going through a round of training (Part 5 of the series) goes through a several rounds of testing. 1. Out of sample test: remember article 2, where we have divided our sample into the training and the test sample. The first level of testing happens on the holdout or test sample. The test sample needs to perform as well as the training sample. Let us come back to this in the next section when I will discuss the measures for performance and ROC curve. 2. Out of time sample test: since the model was built on a sample of the portfolio with reasonable vintage (refer to Part 2), the analyst would like to test the performance of a more recent portfolio. The number of bad borrowers (90+ DPD) in this out of time sample will be certainly less but the overall trend of good/bad ratio against scores will still be a good indicator for model performance. Additionally, the analyst could relax the condition for bad loans and consider 30+ DPD as bad. Again, the overall trend should match the scorecard estimations. 3. On field test: this is where the test of the pudding is; the analyst needs to be completely aware of any credit policy changes that the bank has gone through since the scorecard is developed and more importantly, the impact the changes will have on the scorecard. Always remember not every policy change will influence the scorecard – a good business understanding and a bit of common sense really help here. A regular monitoring and accordingly calibrating the scorecard is a good way to keep it updated. There are several ways to test the performance of the scorecard such as confusion matrix, KS statistics, Gini and area under ROC curve (AUROC) etc. The KS statistics is widely used metric in scorecards development. However, I personally prefer the AUROC to the others. I must add the Gini is a variant of the AUROC. The reason for my liking of the AUROC could be my formal training in Physics and engineering. I think it is a more holistic measure and lets the analyst visually analyze the model performance. I prefer graph and visual statistics any day to raw numbers. The adjacent graph shows a ROC. The two axes on the curve are true and false positive rates. As expected, the plot informs about the level of prediction for the model. A perfect model will perfectly segregate good and bad cases. Hence, you will get 100% true positives in the beginning (i.e. absolute lift) as shown with the green curve in the graph. However, like anything in life perfection does not exist. As they say – If it is too good to be true it probably is. On the other extreme is a worthless model, curve marked in red. Anything close to or below the red curve is as good as tossing a coin, then why to bother with the effort to build a model. Finally, a typical scorecard ROC will look like the blue curve. The AUROC for a usual credit-scoring model is within 70 to 85, higher the better. However, for some fraud and insurance models, a slightly above 60 is an acceptable ROC. Again, analysts should be sure about the business benefits from the scorecard before finalizing the ROC. A simple cost-benefit analysis helps significantly before finalizing the model and reporting it to the top management. I hope after reading this, you will pick up your camera and visit that unexplored nook at the corner of the street – and be ready for some wonderful surprises! You mentioned about looking at ROC 70-85%. The example ROC curve above has a ROC of? Oh, I cooked up the above chart on Excel for the purpose of illustration. I believe it must be close to 80. Could you please explain ROC curve in bit more detail and explain how it is related to Gini? 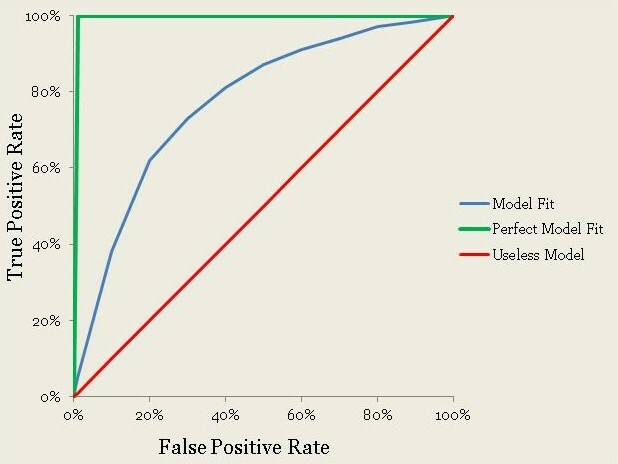 They are both measured as the area under the curve for the model on false positive rate and true positive rate. If you are looking for a traditional scorecard then logistic regression is still you best bet. However, for several business problems, including risk modeling, scorecards are not always required. In such cases you could use probability scores from other models like ANN and decision tree. 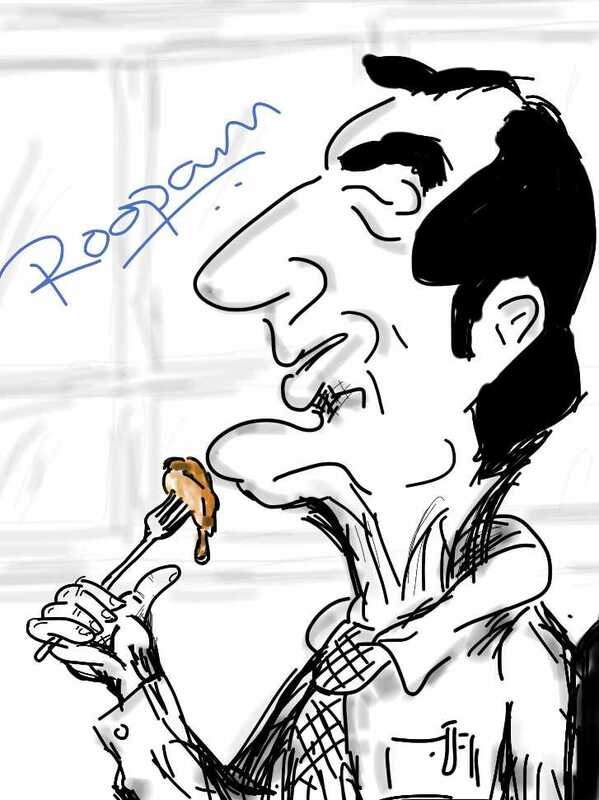 Hi Roopam. Gini as you mentioned is the Gini coefficient measure? so, we can calculate ROC from it. How does it translate to AUC then? I was just trying to match the 2 values I get using model evaluation using the formula you described. Area under the curve (AUC) and ROC are the same thing. 2*AUC-1 is Gini. Hi Roopam, is there any method to analyse the reliability of model credit scoring? Can I use cronbach alpha or spearman brown to analyse that? Thank You. I am not sure what you mean by the reliability of scorecard models – please elaborate. In practical scenarios, scorecards are usually validated against holdout sample and out of time sample.